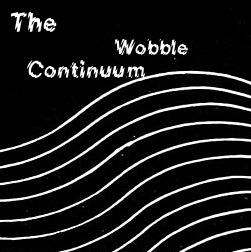 Welcome back to “The Wobble Continuum,” a three part series here on Sounding Out!. When we last left you, Mike D’Errico had brought us to the intersection of patriarchal cultural norms, music production practices and aesthetics, and the Military Entertainment Complex. 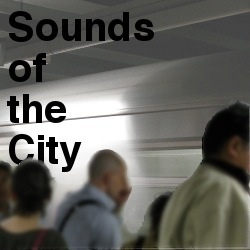 His particular focus was on the sounds and practices of brostep (be sure to check out D’Errico’s SO! 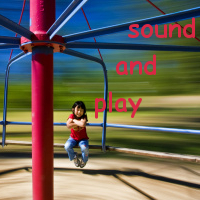 Comment Klatsch from last week on gendered sounds, too), and some of those sounds leak through to today’s post from Christina Giacona. Giacona turns her ear to the group A Tribe Called Red in order to hear how they reappropriate and redress the sounds of colonization and racism. As the series’ title suggests, her essay entails another journey to the low end, where things will once again get wobbly. Since first contact, Native Americans have consistently needed to combat the European stereotypes that portray them as inferior and uncivilized. Barraged with echoes of the same handful of Native tropes since Buffalo Bill’s Wild West Shows, contemporary American society often treats the stereotypical Native American princess, chief, and savage as historical truths, represented recently in Johnny Depp’s portrayal of Tonto in The Lone Ranger. But it is not just the visual image of the Native American that has been stereotyped, so has their sonic sensibility. As documented in the film Reel Injun, Native languages and musics have consistently been “faked” by Hollywood with tricks like backwards English, pig-Latin, and Westernized imaginings of a ubiquitous Native music based on a pan-Indian society that never actually existed. 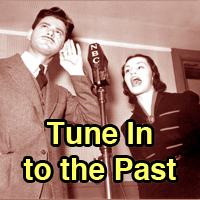 Hollywood often uses Native American music to show a “primitive” society where music’s sole function is to prepare for war. However, the “Indian” drumbeat that accents the first beat of a group of four cannot be found in any traditional Native American or Aboriginal music. 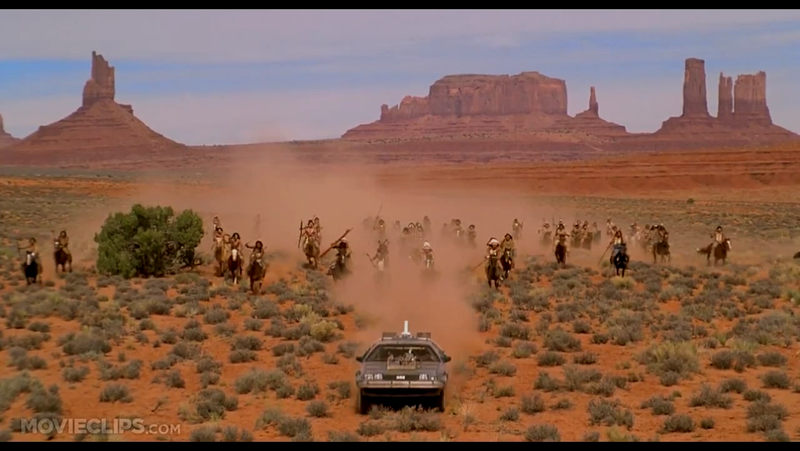 While Native American-directed motion pictures such as Smoke Signals, Powwow Highway, and Atanarjuat: The Fast Runner finally gave agency to Natives in film, it was the all-Native DJ collective A Tribe Called Red’s self-released album and popularization of the Electric Powwow that directly challenges the perception of Native American music in modern society. 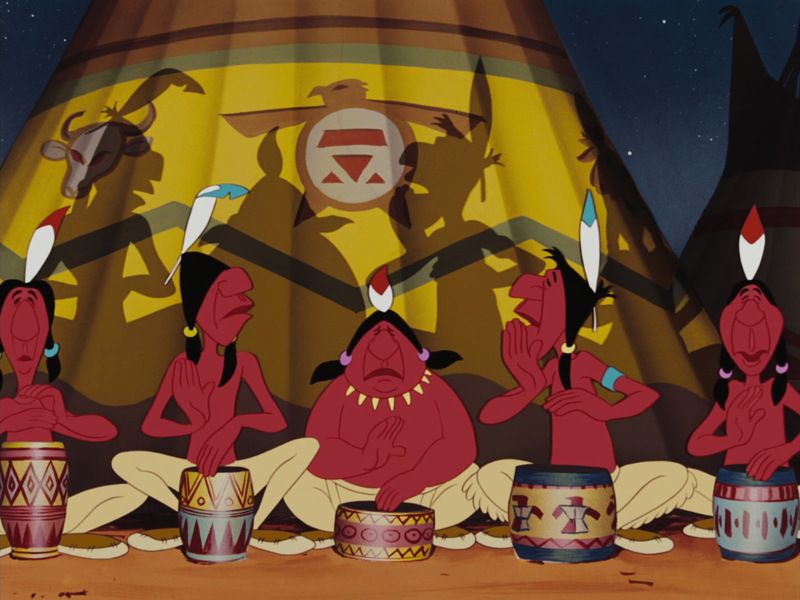 In this post, I analyze the sonic composition of ATCR’s song “Braves,” exploring how A Tribe Called Red challenges North American stereotypes of Native Americans through the cultural re-appropriation of racist sounds. After World War I, intertribal powwow gatherings served as a place to celebrate newfound unity among Native Nations returning home from the war. By the 1950s intertribal powwows had spread throughout North America. With the continued strength and importance of the powwow in contemporary Native society, urban Natives in locations like New York City and Ottawa, Canada, have begun to search for ways to create the same sense of unity in urban venues. In 2008, DJs NDN and Bear Witness formed the DJ collective “A Tribe Called Red” and began curating performances in Ottawa the second Saturday of every month called the Electric Powwow: a “wild party” focused on showcasing native talent and aboriginal culture. ATCR’s website describe the music as “ the soundtrack to the contemporary evolution of the powwow.“ Bear elaborates in an interview with NOW magazine, “[the Electric Powwow] was also about creating a space for our community within the club environment.” Hip-hop DJ and turntable champ DJ Shub was invited to join the group in 2010, and the trio spent the next two years evolving the sound of the Electric Powwow into a mash-up of powwow and First Nations music with contemporary club sounds including hip-hop, dubstep, and dance hall. Much like Fela Kuti’s popularization of Afrobeat in the 1970s, made up of a combination of traditional Nigerian Yoruba polyrhythms with a blend of Western jazz and funk, and Reggaeton’s fusion of Caribbean rhythms with the aesthetics of American hip-hop in the 1990s, the Electric Powwow merges a historically traditional and non-syncretic music with popular and cosmopolitan music in a way that both honors cultural heritage and makes it relevant to a new generation. As NDN points out on Noisey, even their name follows this trend, simultaneously referencing the introduction of Nations at powwows and famous Afrocentric hip-hop group A Tribe Called Quest. The Electric Powwow events are not just about the creation of a new genre of music, but they also serve as a site for ATCR to speak publicly about aboriginal issues and represent themselves as a contemporary face for the urban Native youth renaissance. ATCR’s music videos and live-show projections extensively sample racist imagery from movies and cartoons including old westerns, Back to the Future III, Bugs Bunny, and Disney’s Peter Pan. As a result of their audio-visual activism, the group has become the unofficial soundtrack for the Idle No More movement, which is attempting to reassert Indigenous sovereignty rights and previously signed treaties in Canada. By taking both visual and sonic symbols that depict racist stereotypes out of their cultural contexts, ATCR draws attention to both the specific racism of each individual image and the ubiquity of racist stereotypes. In their track “Braves,” A Tribe Called Red takes on the U.S. baseball team the Atlanta Braves by remixing the baseball organization’s Tomahawk Chop anthem, itself adopted from Florida State University. The association of the “war chant,” the motion of the Tomahawk Chop, and the fact that these actions call for one team to attack all make it clear that American sports culture appropriates Native Culture as an example of “savagery” and “uncivilized” behavior. The Tomahawk Chop also forgoes the use of a language-based text entirely and instead chooses to use vocables that cannot be attributed to any particular Native nation, ceremony, or meaning. Like Hollywood’s use of backwards English and the war drumbeat to represent “Indians,” the Tomahawk Chop bears no resemblance to any real Native Nation’s music, acting as yet another imagined primitive stereotype that marginalizes actual Native American music. On A Tribe Called Red’s SoundCloud page, “Braves”’s description reads, “We wanted to make a song for all the racist and culturally inappropriate sports teams that are still used today!” The group accomplishes this by creating dissonance between contemporary electronic drumbeats and the “traditional” paramilitary marching band arrangement of the “Tomahawk Chop.” “Braves” utilizes a standard dubstep song structure in 4/4 at 140 beats per minute that includes an intro, two main sections that include melodic materials, a breakdown/buildup section, a vocal “drop” which announces and is followed by the climax of the piece, and an outro that brings the track to a close. However, “Braves” does differ from other dubstep songs in the marked separation and interaction between the Tomahawk Chop samples performed by voices and marching band and the composed elements of the song performed as the Wub—a deep, wobbly synthesized sound—and accompanied by a HiHat cymbal pecking away at syncopated rhythms. Even though all the melodic content of “Braves” is based on variations of the Tomahawk Chop melody, ATCR never fully integrates actual samples of the Tomahawk Chop into the composition. The marching band and chant samples are treated as an unwanted and unexpected visitor to a party; they seem important at the entrance, but they are given an increasingly diminished role until they finally exit with a whimper. Written as a protest against racist sports organizations to help convince them to stop using characterized ceremonies and mascots, “Braves” contains that struggle within the composition itself: dubstep, sounded as the Wub and HiHat, eventually renders the Tomahawk Chop sonically impotent. The “Tribe” drop, when ATCR marks the song by saying “tribe,” acts as the turning point in “Braves.” After this point the Wub and HiHat consistently overwhelm the sampled material. In a standard dubstep song, the tribe drop would be followed by the climax: the strongest, most complex musical section of the piece. However, the Tomahawk Chop sample that follows this drop is immediately swallowed up by a low-pass filter that rubs out the tune, starting with the highest pitched sounds, over the course of sixteen measures, heightening the lower end of the sonic spectrum. Only then does the true climax occur. The Wub and HiHat appear here for the first time without the sample band or vocalizations. After the “Tribe” drop, the samples of the Tomahawk Chop are either dominated by the Wub or swallowed up by low-pass filters and fades. In this way, “Braves” acts as a three-minute sonic story of reappropriation. The marching band arrangement and vocables represent the common stereotypes of Native American music perpetuated by Western Culture. The Wub and HiHat act as disapproving commentary on these stereotypes. “Tribe,” the only word used in the entire song, not only sounds ATCR as a group, but also marks the point in the song when ATCR begins to create their own image of Native music while simultaneously disempowering the strength of the marching band. Just like the rebel American marching band’s reappropriation of the song Yankee Doodle in the Revolutionary War, A Tribe Called Red employs irony: in order to get the song the audience has to understand the racism, and while that sort of understanding seems to represent a steep learning curve for a culture so saturated in racist stereotypes, it is also exactly the sort of understanding a multicultural nation needs in order to thrive. Like Afrobeat, Reggaeton, and the more recent alternative hip-hop group Das Racist, ATCR is an underground voice within American popular culture that speaks with reverence for its own traditions while challenging the popular perception of race relations and breaking new ground in contemporary art. “Braves” proves that the reappropriation of sonic space is a powerful tool in the fight for cultural agency. Christina Giacona is the Director of the Los Angeles New Music Ensemble and Instructor of Music at the University of Oklahoma. Dedicated to performing and researching the music of her generation, Christina teaches courses in Native American, World, and Popular Music. Since founding the Los Angeles New Music Ensemble in 2007, Christina has commissioned and premiered over twenty new works for the ensemble; run an international composers competition, recorded three albums, and collaborated with DJs, MCs, animators, choreographers, projectionists, and film producers.